The Briançonnais in the Hautes-Alpesis one of the major place of white water sports in France, and more specifically for the RAFTING practice. With several course of international class, we have concocted for you a tailor-made program to make the most of the most beautiful course durong 2 intense days. The first day takes place on the Guisanne, near Serre-Chevalier, to test the crews and enjoy the best sections of this narrow and winding river, offering a technical sailing full of sensations. After a bivouac at the riverside, head for the Queyras valley and the Guil, one of the last wild rivers in France which is one of the most beautiful rafting courses in the Southern Alps. And if there is a lake of water levels, it will be on the Ubaye, another beautiful river of the surroundings, that will take place this second day..
An amazing week-end, for rafting enthousiasts and thrill seekers! Sporty people, fan of white water sports, wishing to carry out a sporting and intense week-end and discover beautiful rafting courses. Previous experience not obligatory, but strongly recommended (to take full advantage of the week-end). Meals : lunches Day 1 and 2 (picnics), breakfast Day 2. 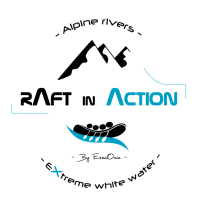 Meeting on Day 1 at 8.30 am directly at our white water base at Centron in the Tarentaise Valley. In the white water world, the Southern Alps reputation is no longer to be done : a multitude of courses of international class, easy to access, all sprinkle with a small holiday air specific to the region of the south!  Raft In Action has concocted a program with the greatest of care to take full advantage of this Southern getaway: meeting the day before on the riverside of the Guisanne for a first contact and get to know each other. After a copious breakfast by the water, the first day takes place on the high and low Guisanne, 2 course with very different characters, to test the crews and gradually raise the temperature. The climax of this day is the sailing of the afternoon on the low Guisanne : with the hill and the numerous rocks coming out of the water creating great movements of water, the sailing is technical, the crews respond immediately to negociate at the best the rapids which one after the other without interruption. After joining the Durance, the end of the course is more peaceful allowing to everyone let the pressure drop and slide quietly on the water until the bivouac, to have a good refreshing night. The next day, we go on the Guil, one of the last wild rivers in Frane : the experience and the cohesion of the team acquiered the day before allow to approach the most beautiful sections and the crossing of the most amazing rapids. With it's gorges, its beautiful rapids, the atmosphere is electrique and everyone lives intensly this second day. A beautifull week-end full of southern sensations! !